A podcast about all things Macintosh. For Mac geeks, by Mac geeks. Show 208. Apple’s expanding retail empire. More security chinks in Leopard armor. Apple acknowledges MacBook drive failures. Orange brings iPhone to France. AT&T exec says 3G iPhone in 2008. Malcor hack is a Hoax. I finally got Back to My Mac working! Applications to “tinker” with OS X. Finding QuickTime for Windows from a Mac. Syncing notes from the iPhone, sort of. Putting the hierarchy back in the Leopard Dock. Stop iPhone from launching iPhoto. Accessing menubar items, file menus, and Dock from keyboard. Fixing QuickLook folder deficiency. Decorate your Dashboard for the Holidays. The Gadget Locker – Save up to 20% on select items. B: You don’t want to give it away for free. This is where GarageSale (http://iwascoding.com/GarageSale) comes in. If you have stuff that just has to go, and you like to use eBay, then this is the app you want to use. GarageSale is an all in one eBay selling app that takes you from the setting up your sale to feedback and completion. To give you an idea, I sold an item for this review and I am going to give you the play by play. Setting up the application is really simple. 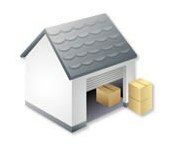 Just give GarageSale your eBay information as it is an approved eBay application and needs to be linked, plus you can also link your PayPal information. Now you’re set! Shopping at TheGadgetLocker.com just got better! Cyber Monday(s) are here! Now, through the end of the year, every time you make a purchase at TheGadgetLocker.com on a Monday, you can get 10% off your order. Just enter the coupon code ‘cybermonday’ when you’re checking out, and you’ll automatically get 10% off your total purchase. Starting today (Nov. 26th) and lasting through the entire holiday season (up to and including Dec. 31st) take advantage of this great promotion to save you money when buying your favorite iPod and Mac accessories. TheGadgetLocker.com guarantees delivery by Dec 24th for anything purchased by Monday, Dec 17th, provided that the item is in stock. This makes Christmas shopping easy! For more information and to take advantage of this holiday sale, visit TheGadgetLocker.com. The problem with passwords is that they really should be complex, but we often are willing trade off security for something easy to remember. It doesn’t get any easier when you have more than one account on a website. 1Password not only remembers your existing passwords, but has an amazing GUI for creating insanely secure passwords. You can access all of these with a single master password. I have heard a number of people express the opinion recently that Apple has changed the way that it announces products. This comes from the fact that Apple recently pre-announced two products, months in advance before you could even order them. The two products were the AppleTV and the iPhone. This has set the expectation for a number of people that they might learn about the next iPod or the next iMac in a similar pre-release fashion. This post is intended to discourage that expectation. Let’s back up a bit and look at what this from Apple’s point of view. In general when Apple, or some other hardware company, releases a new product they are going through a product transition. So when they announce a new iPod they are trying to maximize how much money they make. A product transition has some risks for the company. If they announce a product too soon and the product sounds very good then people may choose to stop buying the current product and wait for the new product. This is called the Osborne Effect after Osborne Computer Corporation which pre-announced a series of new products in 1983. The company went out of business shortly there after and the most common story has been that their sales dried up when they announced these new machines. (Whether this actually caused Osborne to go out of business is not universally accepted in retrospect, no one seems to argue that this was helpful to the company). If a company still has old units in its warehouse when it ships the new product, these products will have to be sold for less money (or perhaps not sold at all). But, if the company guesses wrong how many of the old product it will sell in this transition and runs out of units in the warehouse then it may lose sales to a competitor. Combine this with a slip in the new product and you get the kind of scenario that can keep executives awake at night. So why did Apple decide to pre-announce not one, but two products last year? The main reason would seem to be that they were not going through a product transition. They did not have a TV box when they pre-announced the AppleTV nor a cell phone when they pre-announced the iPhone. Why does this make a difference? The big difference here is that customers may in fact not buy some product that they were planning on buying and wait for the Apple product, but in this case it was not an Apple product. So with the iPhone, for example, what Apple wanted was for people to decide not to by that new BlackBerry, Blackjack, Razr, etc but to wait for the iPhone. What Apple did was create F.U.D. (Fear, Uncertainty and Doubt) about their competitor’s products. They did not need people to pre-order the iPhone so much as they wanted them to at least wonder whether they should wait and see. FUD is a very useful marketing tool. If you don’t have something sell, marketeers are trying to at least get you to wait before buying a competing product. Their hope, which worked in the case of the iPhone, is that if you wait long enough they will have a product you will want to buy. So, will Apple pre-announce the next iMac. That is unlikely. But if they get into yet another consumer product business then it is very likely that they would pre-release that product. I attended a class by New York Times technology columnist David Pogue on the new features in Leopard recently. Mr. Pogue is a dynamic speaker and the enthusiastic crowd was rocking. No, really, I mean the room was literally rocking. Of course the room was located on Holland America’s ms Volendam so the rocking was fairly easy to explain. This class was part of Insight Cruise‘s (formerly Geek Cruises) MacMania 7 cruise. A MacMania cruise is like a Mac conference at sea and more than one of the attendees had their attendance at conference paid for by their company (although only the most generous company will also pay for the cruise itself). The speakers on MacMania 7 were: Richard Dreyfuss (the actor), Janet Hill, David Pogue, Randal Schwartz, Jason Snell, Sal Soghoian, Derrick Story and Robin Williams (the Mac author not the actor). One of the wonderful perks of the cruise is being able to meet, talk with and generally shmooze with people who are well known in the Mac community. Which Is Best for You â€” Aperture, Lightroom, or iPhoto? The classes are not held while the ship is in port so that attendees and speakers alike can enjoy shore excursions or just generally explore. MacMania 7 stopped at a prvate island in the Bahamas, Aruba, CuraÃ§ao, Panama and Costa Rica with the highlight of the cruise being the Panama Canal. The cruise had more than 4 days spent entirely at sea. If you enjoy the normal ways to spend your time on a cruise: shuffleboard, bingo, art auctions, shopping, etc then a geek cruise may not be right for you. If you can’t imagine entertaining yourself on a 10 day cruise and think that spending the time with 150 other Mac fanatics would be fun, then you might want to look into MacMania 8. Insight Cruises also ran Shakespeare at Sea on the same cruise (which is what I was officially attending but I was allowed to attend either program). More information about the cruise can be found in Amateur Traveler Episode 113 – Theme Cruise to Panama (Shakespeare at Sea / MacMania). A podcast about all things Macintosh. For Mac geeks, by Mac geeks. A special Thanksgiving edition of the Maccast. In this episode we take a look at the new version of FrontRow in Leopard with Ara Derderian from the HDTV Podcast. We talk about all the new features, our likes and dislikes, offer some helpful tips and software recommendations to turn your Mac into a full blown home media center. Happy Thanksgiving. Enjoy. Created Equal announced a major upgrade today for it’s tutorial software: TeachMac & TeachIT. Version 5 is now available for download at TeachMac & TeachIT. These applications are free to download, and give you access to over 150 Mac or Windows tutorials. Some titles are free, while others can be downloaded for a small fee. You can purchase each tutorial a la carte, or choose from one of several subscription plans which start at just USD$10.00. I downloaded TeachMac to test it out, and it’s very easy to use! TeachMac has a very simple interface that you can use to search for & download tutorials on topics ranging from how to use iTunes to how to build your own Cocoa web browser. TeachMac makes it very easy to create your own customized library of instructional videos. Along with other improvements, Version 5 now adds support for transferring downloaded tutorials directly into iTunes, making this content available to view on an iPod, iPhone, or the AppleTV. TeachMac & TeachIT also allow you to create and sell your own tutorials, earning 100% of the sale price, as well as a percentage of the subscription price. Version 5 offers many improvements in this area, helping you to create better, more interactive content. Created Equal is a non-profit educational corporation. Proceeds from the sale of subscriptions help to fund the Oasis Project, a permanent, long term sustainable domestic violence shelter and recovery center for women and children. Despite being a blogger here for almost 6 months, I have not posted at all for many reasons, one of which will soon become clear. Therefore, an introduction is in order. My name is Charles Sporn, I am a Mac-head, I run a website called Freecasts.net (can you guess the domain name? If you guessed http://freecasts.net, you are right! ), I also have a semi dead podcast called “Fredric’s Fantastic Freeware.” For the past 9 months, my main computer was my MacBook. I used it for my video editing, audio production, and more photo editing than I ever thought I would be doing. Not to mention I used it at school. Then about 2 months ago, the screen broke. I still don’t know how it happened, all I know is that it wasn’t covered under my warranty. Because of that, Apple wanted to charge me $800 to fix it. I decided against that because the computer cost $1400 new. That left me with the problem of my broken laptop. Since I needed a computer for school, my mom got me a PowerBook G3 which I have been using for the past 2 months. My first question when I got it was could it run Tiger, and if so how well? Well it runs 10.4 very nicely in fact. It won’t win any speed competitions, but it does run. The next question is what can and can’t it run. Well, all the software I need for school runs very well. That software amounts to TextEdit and OmniOutliner (I ditched MS office for mac 2 years ago and urge fellow Mac users to do the same, but that is neither here nor there). What it doesn’t run is anything iLife or iWork. iLife I don’t care too much about since in my day to day life I do my photo editing in Photoshop and Aperture, and I do all my audio production in Logic. However, not having iWork is very annoying. The last question I had was the battery life on it. It being an old computer, running a modern OS usually means 10 minute battery life. Not so here. I get about 3 hours to 4 hours depending on what I am doing. If I had to pick one thing about it that I would change, I would add a wi-fi card. That is obvious. I miss web surfing while reclining on my bed. So how has my life been with an old Mac? Not bad, but far from great. The biggest upside, It will make me applicate my future MacBook Pro more. Do any of you readers live on an old Mac? Post your experiences! Listener Paul from Mac Break Weekly Picks let me know about this on-line version of Apple’s latest “Get a Mac” ads that is running over on the Engadget web site. I thought is was very clever how they integrated the video and the web banner.